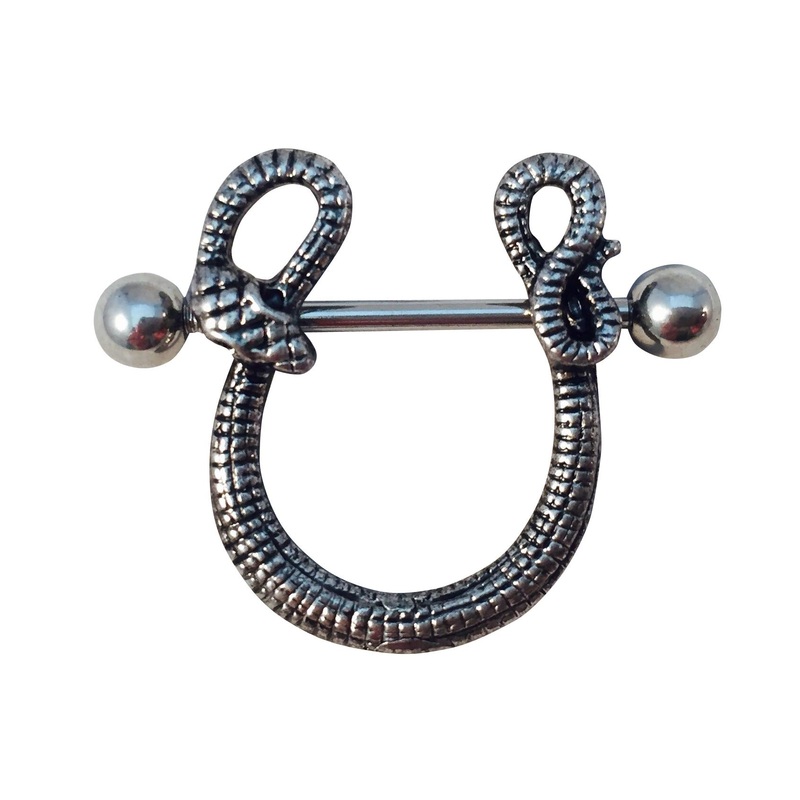 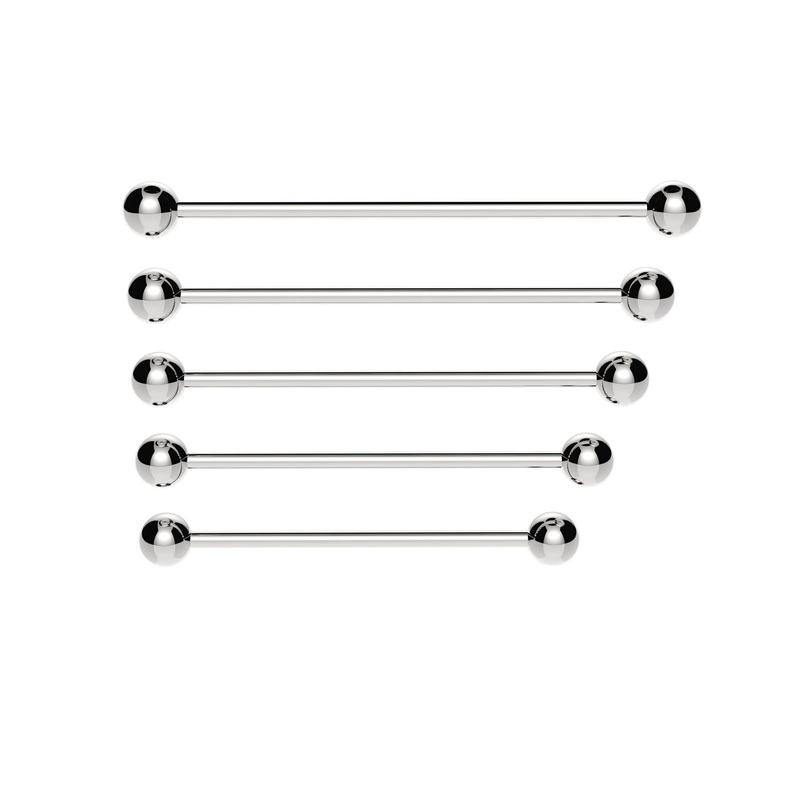 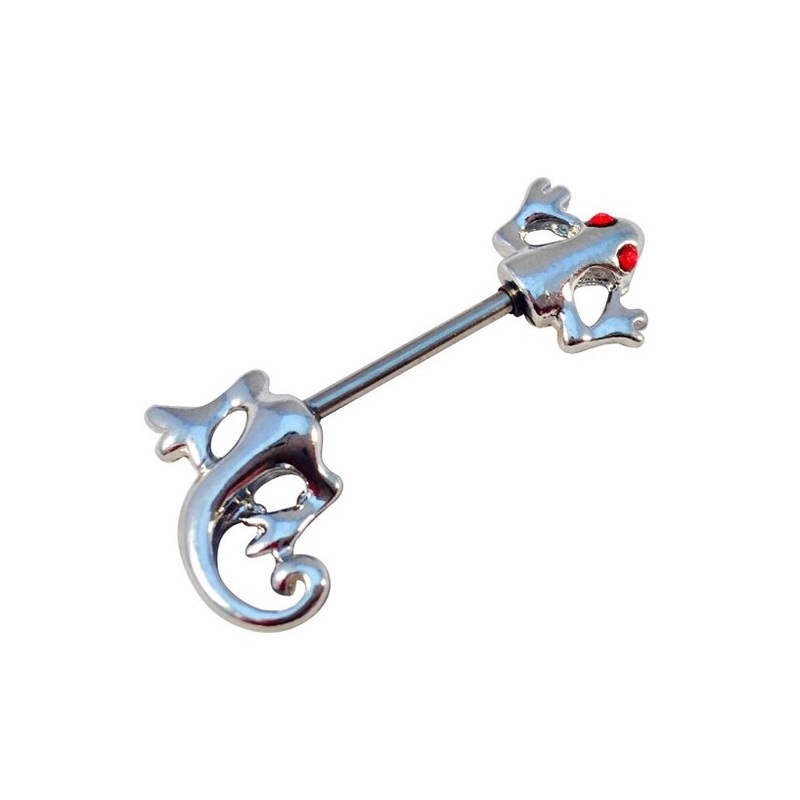 Steel industrial barbell in sizes 32mm – 42mm and gauges of 1.2mm (16ga) – 1.6mm (14ga). 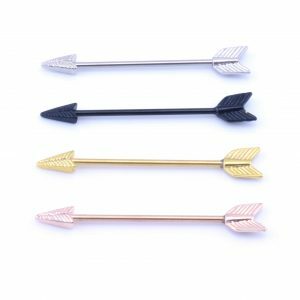 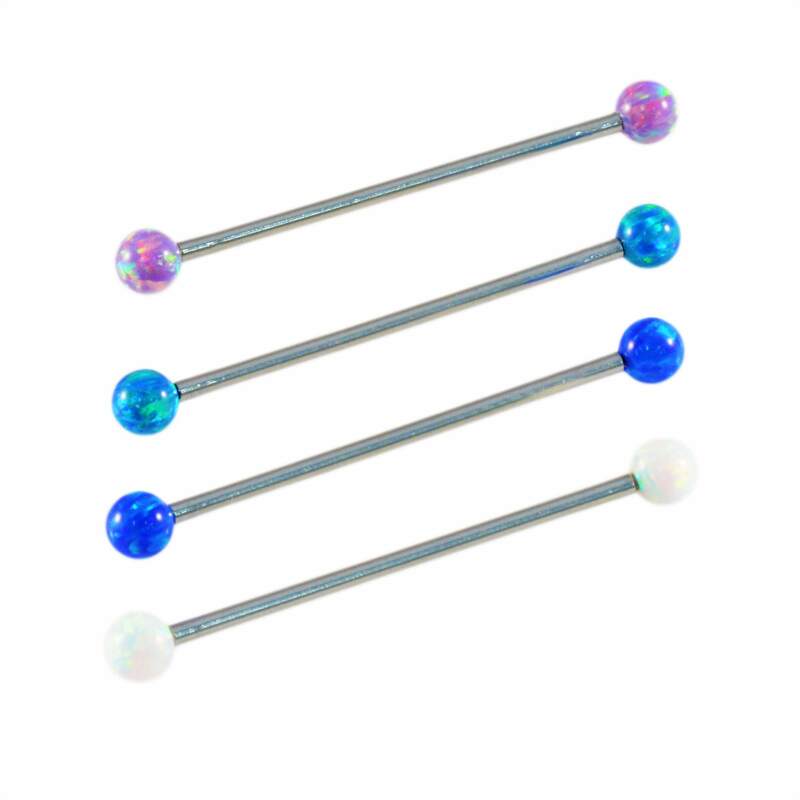 These straight barbells are also available in smaller sizes. 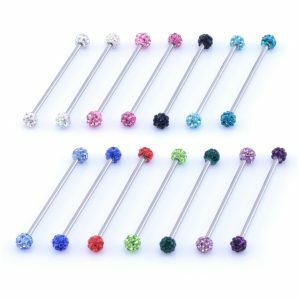 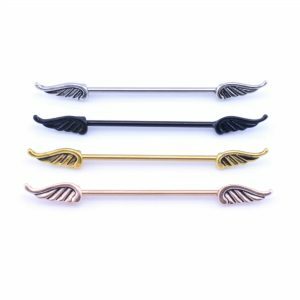 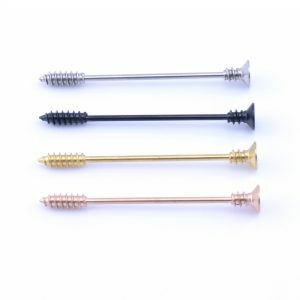 However these are the most suitable sizes for an industrial piercing.